Patricia Rose Dusick (nee O’Malley) age 89, passed away peacefully on Monday, July 17, 2017 at RiverPointe Care Center in Olmsted Falls, Ohio. 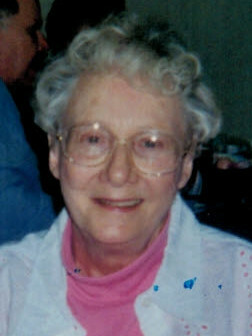 Pat was the dear wife of the late John; devoted sister of Mary Jane (the late Edward) Colleran, Martin (the late Florence), Thomas (Marcie), Kathryn (Chuck) Darven, Eleanor Johnson. Jean (the late Steve) Michalek, Michaella (Walter) Vavrek, Donna (the late Larry) Moon, John (Carol) and the late Margaret (John) Haney and James (survived by JoAnn); treasured aunt, godmother and friend. Please join the family to celebrate the gift of Pat’s life at a Mass of Resurrection at 10AM, Saturday, July 29, 2017 at St. Patrick Church 3602 Bridge Ave. Cleveland.